In the upgrade, KuCoin will introduce the clientOid in the matching engine which will allow users to track their orders through the websocket private channel. KuCoin will batch restart the trading pairs (which should take about 5-10 minutes) during the upgrade, which will lead to a time delay of about 1 minute in order matching. The order placement service will run normally during the upgrade (but if the server startup is abnormal, the system will cancel the orders which are not matched by the matching engine for more than 10 minutes after placement). For API users, if you cannot receive the latest messages on the orderbook, we suggest you reconfigure your orderbook. KuCoin has improved the procedures for the freezing of transaction fees and has changed the V2.0 procedures for order amount freezing (namely, inner fee deduction from the order amount) into “order amount + transaction fees” (namely, outer fee deduction). This will solve the problem of many users being unable to buy a specified amount of crypto in a transaction. For the website, we have improved the displaying of transaction fees (for some of the order types) and solved the issue of error reports when placing orders. After the upgrade, the display of the frozen transaction fees (that is, the frozen taker fees) will be more clear and easy to understand. Please note that the changes to the freezing of the transaction fees and the procedures will not have any effect on the order matching and the transaction fee deduction of your current pending orders. In the upgrade, we will add the clientOid field for Level 3 (received messages) data for the websocket private channel, which will help API users to filter out the orders through clientOid. Meanwhile, we will also add the field of accountId in “Account balance notice” for the websocket private channel. This will help users to monitor their capital changes. During the upgrade, we also added the 'volValue' filed for the interface of GET all symbols and GET 24hr stats to allow users to get the 24h trading volume. 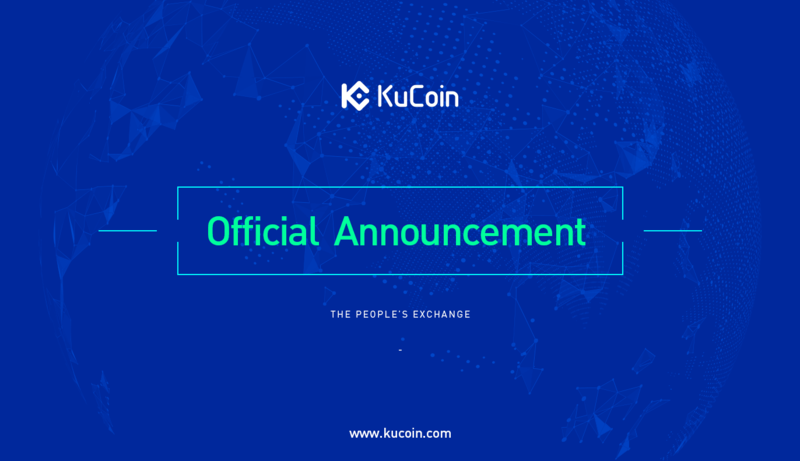 Notice: KuCoin will update the upgrade progress simultaneously in our KuCoin community group, please stay tuned to the latest news. We apologize for any inconveniences that this upgrade may cause. Thank you for your support!